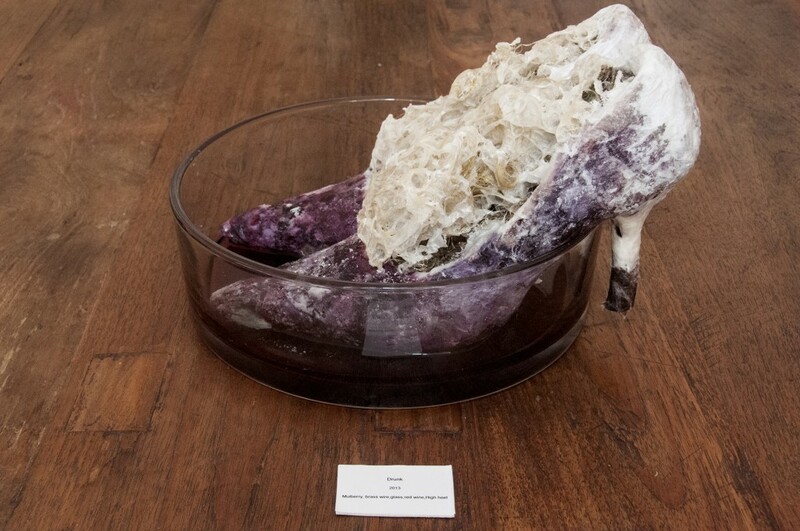 This sacred white sculpture was soaked in red wine for one month whilst they were exhibited. 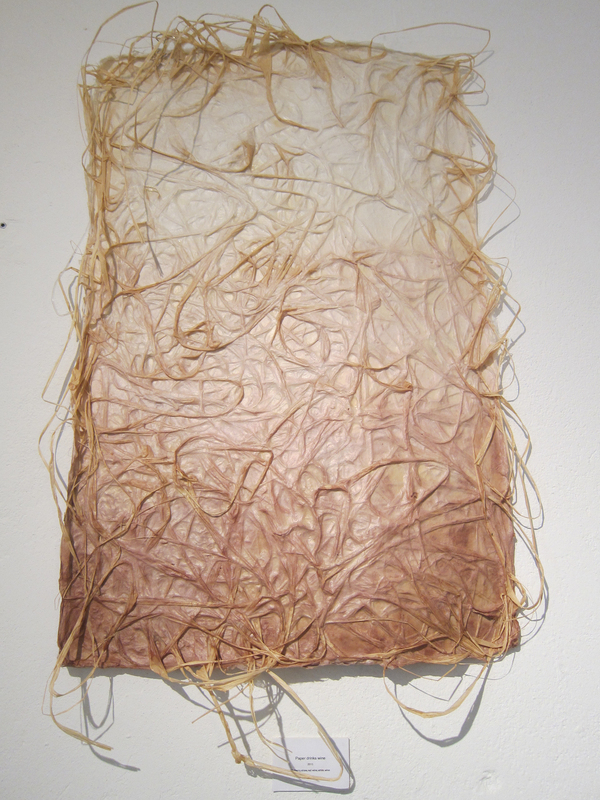 The intention of this piece was to show how such a natural material such as Japanese paper can appear to be DRUNK, like human nature, drinking the wine and get drunk. The contrast between the pure white of the Japanese paper and the deep red from the wine is a reference of the Japanese flag. Like in the sculpture the paper is some sort of collision, the colors merge for the first time, just how I landed, pure and fresh, in the city of Berlin with my first impressions of the drunken local atmosphere absorbing the city. These high heels again were made with Japanese paper and soaked for one month in red wine, display the same concept as the image above. 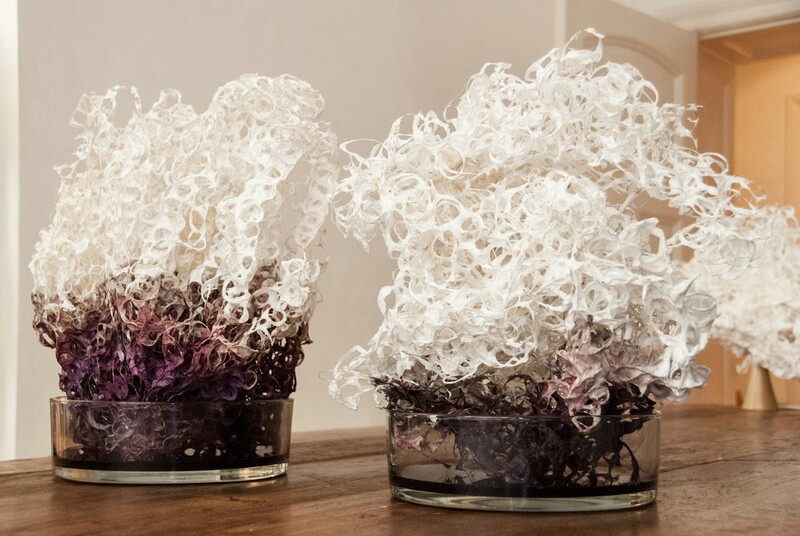 It was an experiment to see how the white paper　is dyed with the crimson color of the wine, the colors are diluted, slowly changing in the process to purple that can be observed in many different stages when visiting the gallery.